It's time to take a look at the numbers for the month of November, the very first month of Into the Shadow's sales. I'll report back every month to give a break down. Feel free to leave suggestions for more sales. I'll list the other things I've been doing as well. Everyone is doing the whole Thanksgiving thing, what they're thankful for and all that junk. I'm of course thankful for the usual business, of which I won't bore you with (family, friends, muffins)...but there is something new that I'm thankful for this year. And that would have to be my new readers! I'm starting to get feedback from those out there that are reading the book. Maybe you'll be surprised to know that many times this month, I'd wake up from nightmares which generally started with me anxiously awaiting reviews from readers on Amazon, and checking them only to have people rip me a new one and go on and on about how awful Into the Shadows was. It was so scary! Worse than the dreams when you're standing in front of a crowd naked! A Book A Day For The Holidays! I've come up with a fun little experiment. I'm looking for authors of all kinds, fiction, non-fiction, YA or adult, romance, horror, indie or traditionally published with a book out there in the wide wide world. We're all always looking for great, new things to read and what better way to prepare for the holidays than by doing a little shopping and helping out your fellow authors at the same time. Buy a book for yourself, a relative, or a friend. So here's my thought...from December 1st - December 24th, all of you wonderful authors out there provide me some info on your book, and I'll post it right here. Now, it would be nice to support each other as well, so if I post your book, please take a look at the others and try to purchase one. Email all of that me at karlykirkpatrick@gmail.com. All dates/space are on a first come/first serve basis! Let's see if we can fill all 24 days - it'll be like a crazy advent calendar of books! Over the next few weeks I'll add a couple of songs that have inspired Into the Shadows. If I could make my very own soundtrack, these are the songs I would pick. The whole time I was writing ITS in 2007-2008, I would listen to this song over and over again. It even inspired the title. It comes from a little-known Finnish band named The Rasmus, and was popular in Europe in 2003. True story, I actually stood just feet from the lead singer while at a concert by a different band in Helsinki as he was filming the opening act. They're still making music, so if you like the song, be sure to check them out! I heart them! I was honored to be interviewed by the lovely Joanne Troppello. Be sure to check out the interview on her blog if you'd like to know my deepest, darkest, writing secrets. Or just my regular writing secrets. Who am I kidding, having a blog means never keeping any deep, dark secrets. So I made an attempt to take on NaNo this year, knowing that I wouldn't have a ton of time, and I made it two weeks before all of my other commitments took over. I'm still proud of the work I did, it was well received at my grad class and I managed 20,000 words in about 13 days. That comes out to 75 pages double spaced. I hope to finish it up after I finish my grad paper, which I should be working on right now instead of blogging. But I've missed you all and wanted to say hi! So this officially ends my blog break, and I hope to be back, bringing you updates on epublishing and how it's all going, what things will be coming next, and hopefully sharing some samples of upcoming novels with you soon. 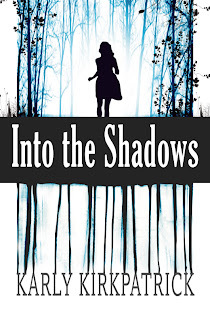 Into the Shadows Paperback Available NOW! I'm excited to announce that the paperback version of Into the Shadows is available now at my CreateSpace store for the low price of $11.00. It will be available on Amazon.com in about 15 days (per CreateSpace). Follow this link to the CreateSpace Into the Shadows page! I am so happy with it, CreateSpace, my cover designer Carl Graves, and format expert Rob Siders deserve a ton of credit for this. It's truly amazing. Thanks to everyone for waiting patiently and enjoy! Be sure to post reviews on Amazon.com and Goodreads.com, if you get a chance! YA Flash Death Match Awesome November Contest! Please check out my other website, YA Flash Death Match, and enter your YA NaNo novel, or non-NaNo YA novel for this month's competition! Just a quick post on this week's numbers (not counting Friday). I sold 20 copies alone on November 1, 19 at Amazon and 1 at Barnes & Noble. I have since sold two more, one at Amazon, and one at B&N. Add that to the 4 that sold prior to November 1 and at this point I've sold a grand total of...26 copies, 22 this week. Obviously I won't be able to maintain those numbers, I'm not doing a ton of advertising and won't have another big release day. I might get a bit of a boost once the paperback is ready, I'll probably sell 50 copies just between students and family and friends, and that's thinking on the low side. A lot of my 'fan' base seems to be clamoring for the paperback. Maybe all the work I did for the ebook will get the word out and make the paperback sales great. Or maybe they'll be the same. Whatever, I'm just excited to see people reading it! I've had 12 people add it on Goodreads, which I think is a great site to get the word out. Do you have any other suggestions for sharing the info? I am not a spammer, so I like it best if people come across it more naturally. I've been doing interviews as well, and I'm open to more if anyone is up for it! I'm happy to talk about anything, really. Well, back to caring for my icky sicky baby and trying to squeeze out some NaNo words! I'd like to offer congratulations to the winners of the Into the Shadows giveaway! I'll be contacting you shortly by email to get you your free copy! Thanks to all who participated and here are the winners! Amber, Julie, Dottie, Richard, Cheyanne, Valerie, Ann, and Timothy. For the second year in a row, I'm diving back into NaNoWriMo (www.nanowrimo.org), the month-long writing extravaganza! I'm writing a new piece, my very first vampire novel, called Bloody Little Secrets. My goal is to 'win' again this year, meaning I'll hit that 50,000 word mark. But to do so, something will have to give, so don't worry if I'm a little scarce on the blog. It just means I'm writing, a lot, in hopes of getting you more new books soon! I'll check in here and there and let you know how things are going! 17-year-old Vicky Hernandez has a big problem. She's dead. Or not quite. After discovering she's been turned into a vampire, she tries to settle into a quiet suburb of Chicago and return to a normal life. If only she could stop wanting to bite her boyfriend. Not to mention she is dying to find out who turned her, and why. She doesn't have to wait long before they come to her. If anyone else is participating, I'm listed under karlykirkpatrick so feel free to make me your buddy! 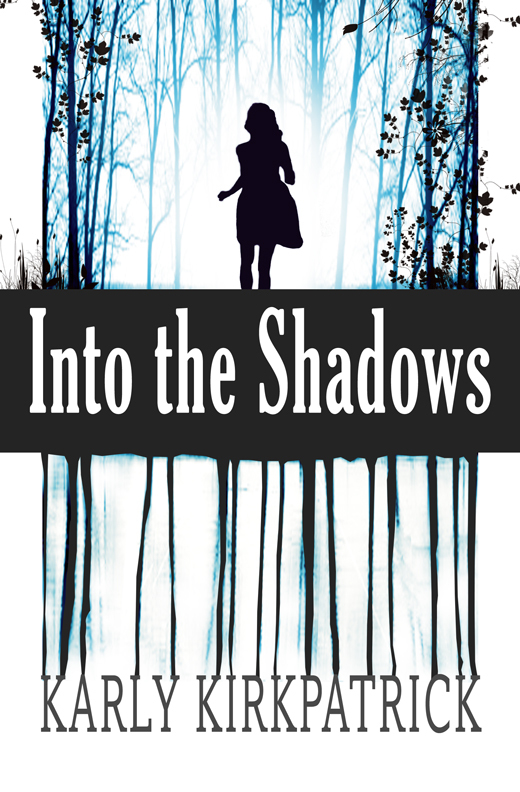 Into the Shadows is Available Today! I couldn't be more excited today as my very first ebook hits the virtual bookshelves. I, like many writers, dreamed of the day that my books would be available to readers. Today is my day. I've chosen to do it, as you well know, not in a traditional fashion. But I find that prospect exciting too. After today, it's a whole new world for me. A world where people can find my book and read it. Enjoy (hopefully) my characters and make them a part of their lives. Maybe, just maybe, this warrants a change from writer to author. This book has been given a new life, far from the dust-covered shelf where it sat up until a couple months ago. I honestly never thought I'd have the opportunity to share it, and well, here we are. I'd like to thank you, my friends and fellow writers for following the journey. You've made it all worthwhile!